Imagine a World where each and every one of was committed to discovering who we are truly here to be, committed to unwrapping our gifts, to living from our deepest Being. Imagine a world where we support each other in that quest. Imagine a world where we are seen for our potential to Become – Buddha to be, Gandhi to be, Einstein to be. Imagine a world where we greet each other with compassion and an open heart – Dalai Lama to be, Amma to be, Mother Theresa to be. Imagine a world where we thirst for justice and respect – Mandela to be, Joan of Arc to be, Ang San Suu Kyi to be. Imagine a world where we dare to be ecstatically different – Rumi to be, Mary Magdalene to be, Wonder Woman to be. Imagine a world where we stand up for the planet as part of who we are – ancient redwood to be, red tailed hawk to be, snow leopard to be. Imagine a world where each person reached just a little bit further, towards compassion, sustainability, harmony and creativity. Imagine a world that stretched even further, to the place where ecstasy lives. Imagine a world of celebration for life in all it’s joy and all it’s pain. A world where nothing stands in the way but fear itself. Where fear is just a passing fancy, replaced by unyielding hope, undying trust, indestructible vulnerability. A world where everyone and everything that happens to you is part of an extraordinary opportunity to learn and grow and evolve. Imagine a world that reflected back all the love in your heart, beaming right back at you, blinding you with it’s brilliance. Imagine a world where the extraordinary life you are here to live is here. Imagine if you could start living that life, right now. Your fierce light shining bright. Your work is true and deeply inspiring!!! And YES, we can all start living this life right now… to rise fully in rightness, and to embrace and share our true essence and beauty w/out resistance or fear. To not leave life to chance, to hope, or to fate, but to take it in our hand like the most precious gem, and shine it brightly in any direction we want to go… to create our own reality! Thank you for sharing your insights and experiences through film and through word… you are reaching us Velcrow… you are creating change! ‘Fierce Light” is the most beautiful documentary I have ever seen! Truly revealing. It was one of these experiences that change you forever and open your eyes to a new reality. It turned my world upside down. I have always believed that groving up meant shedding layers of skin, and becoming more vulnerable. I think you have the ability to tear off the thickest skins in one fell swoop. I know I’ll never be the same again. Thank you for being what you are. People like you are the world’s saving grace. 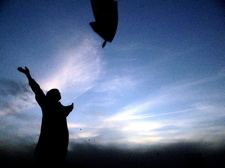 I am super stoked to be screening your extraordinary film “Fierce Light” here in Hood River, Oregon this summer. Your film and seeing you speak at the keynote luncheon at the Whistler Film Festival changed my life and gave me the inspiration to step up and “walk the walk” of bringing more peace and love to our communities and our planet…every single thing we do with love MATTERS! I am often the lone Canadian at a dinner party here and telling them what your film tells its audiences always gets some meaningful conversation going. Thank you for your extraordinary vision and creativity and looking forward to seeing Redvolution. Dobro to wolność i by je okazywać innym muśisz być wolny..
Niech miłość nie muwi ci co masz robic posłuchaj co muwią ludzie ,zastanów sie ..
Jak by ktoś się zastanawiał po jakiemu to ? i like it. love is radical. and sorry to bring it up, but you got to lay off the obama kick. to put him in the same class as rosa parks or rumi is not that cool. the dude is killing tons of people in afghanistan and pakistan. still has a war going on in iraq. and those of us who are fighting for a better world on the streets in denver or pittsburgh or wherever else are being attacked by that guy and those who work for him. i’m not saying obama is not deserving of compassion, but he is not a spiritual warrior. Politicians get to be politicians because they represent the rich and powerful. he is the pretty black face of imperialism and capitalism meant to placate us and convince us that everything’s under control and revolution isn’t neccessary. it is neccessary. when bush did what obama’s doing everybody was mad. just because he has a pretty black face and says things about hope and change shouldn’t distract us. actions speak louder than words. his. and ours. I have in fact finally given up on Obama, after his insistence on sending 30,000 more troops to Afghanistan. I would chill on the “pretty black face” verbage you’re using – it sounds a little racist to me – but I have to concede – Obama is at this point a disappointment. He is defending business as usual. However, he does represent progress in many levels, and he is not Bush. Time will tell whether he learns to be a true leader, and manages to step into the archetypal “dream Obama” we have all projected onto him. But I removed the references to him from this piece, and I have pulled them from my talks. Until he proves himself differently, at this point his standing up for a system that has proven itself corrupt and dangerous. The entire basis of western civilization needs a radical overhaul, not a little propping up and a shot of botox to give it a facelift. The change is happening – but it’s coming from the bottom up, not the top down. Maybe you shouldn’t completely give up on Obama just yet. Remember that when he took office, the expectations were so exorbitant that no man – short of being a miracle worker – could have fulfilled them. And we also have to consider the odds he’s up against. Like you say, we all projected our dreams onto him, so maybe writing him off would be a little premature at this point. The radical overhaul of a civilization is no mean feat. 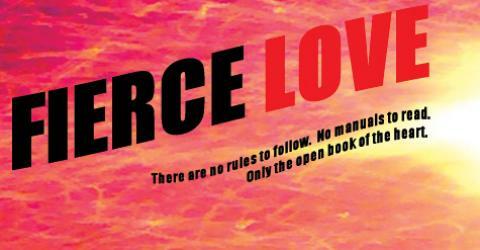 Can someone please tell me how I can get a copy of the Documentary that was on Netflix a few months ago called Fierce Love?